We are leading manufacturer and supplier of natural wall stacking stone. Wall stacking are are available with various color and finishes. 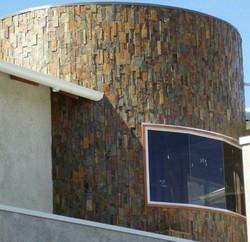 Wall Stacking stones are are highly demanded for external wall cladding. Wall Stacking are also known as stacked stone, wall stacking panels, stacked stone for wall etc. 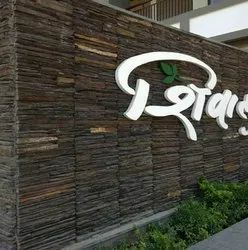 Panther Slate Stone Wall Stacking is new color we inaugurate just before year. This color could be use for internal and external wall cladding. 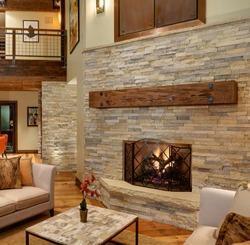 We are offering these Slate Stone Wall Stacking in tile form also. These slate Stone Wall Stacking are totally weather proof. We are leading manufacturer and supplier of Slatestone Wall Stacking from Rajasthan, India. These slatestone wall stacking crafted from antique Slatestone strips with high end machinery and skilled men power. Slatestone wall Stacking are available with various colors and finished as per customers preference. Slatestone wall Stacking are demand for external as well as internal wall cladding. We are leading manufacturer and supplier of Elevation Wall Stacking Stone. This stacking stone crafted from multicolor Slatestone strips. It is available in natural finish and updown look. Its natural dark and light color combination gives very attractive look on elevation wall. Uses for Stacking stone are for elevation wall, front elevation, Interior wall cladding, Exterior wall cladding etc. 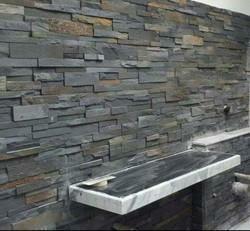 We are leading wholesale supplier of Navy Grey Slate Wall Stacking for interior as well as exterior wall cladding. It has light grey shade with very slight Yellow shades on it. Navy grey slate wall stacking are highly demanded by architects and builders for their interior as well as exterior wall applications. • Internal and external wall for any home, hotels, Villas. We are leading manufacturer and supplier of the Staircase Stone Wall Stacking. 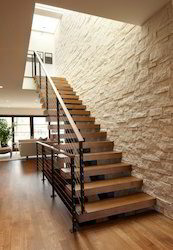 Staircase Stone Wall Stacking crafted from the natural spanish beige sandstone. We do rockface finish on its surface by imported spliting machine with highly skilled labour for perfection in its size. These staircase Stone wall Stacking could be use for interior and exterior wall cladding of Boundary wall, home elevation, staircase and anywhere you want to install. We also provide the installation facilty for staircase stone wall sacking supplied by us. We are leading manufacturer and supplier of the Sandstone Wall Stacking. 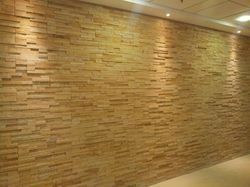 Sandstone wall Stacking made of teakwood sandstone with sandblast finish and updown strips. The variation of thickness in strips gives very attractive 3D look on elevation as well as internal wall cladding. We are leading manufacturer and supplier of Lime Black Wall Stacking Stones. Lime Black Wall Stacking Stones are crafted by highly trained person-Mr. Lime Black Wall Stacking Stones are available with front size rockface and back size machine cut. Lime Black Wall Stacking Stones could be use for interior and exterior wall cladding for any wall. It provides hardness for wall with extraordinary looking. We provide the installation facility for stacking stone supplied by us. Application areas Internal and External wall cladding. Light Grey Slate Wall Stacking are made of north indian Grey slate stone tiles. These are also known as Navy Grey Slate wall Stacking stone tiles. This is very perfect choice for internal and external wall cladding. It has natural shine on its surface so this is highly demanding product for whoever is looking for light grey. We also provide the installation facility for stacking stones supplied by us. We are leading manufacturer and supplier of Indian Autumn Slate Stone Wall Stacking. 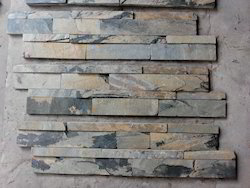 These Indian Autumn Slate stone wall stacking could be use for interior as well as exterior wall cladding. Indian Autumn Slatestone wall Stacking are made of Indian Autumn slate stone strips. We also provide the installation faility for stacking stones supplied by us.